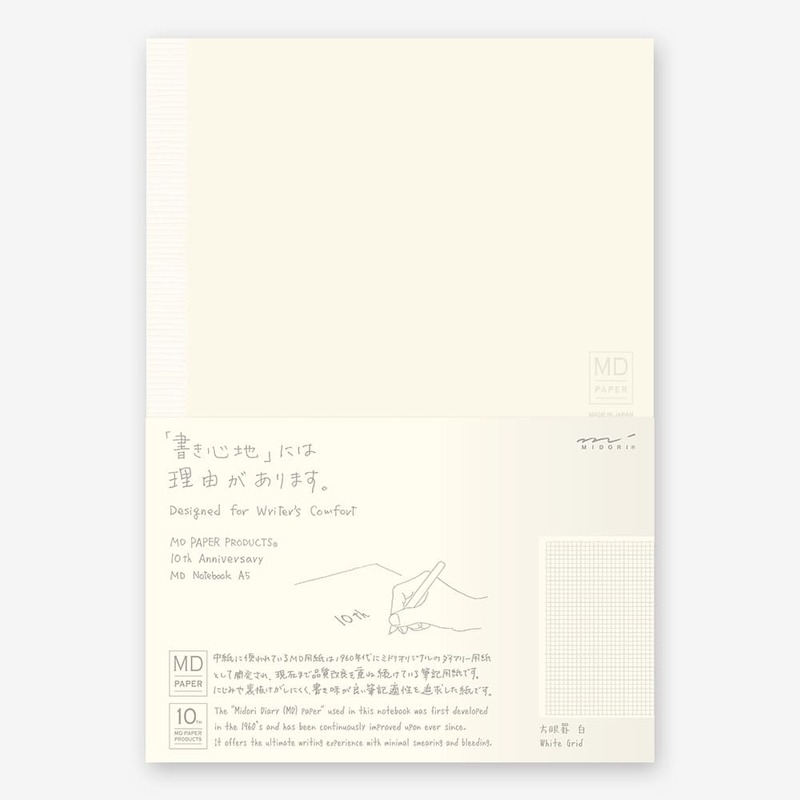 This is the Midori Notebook 10th Anniversary White Grid. A 5mm grid with white lines. The lines are so subtle that they never get in your way. You writing stands out without any visual distractions, and the lines will not show when photocopied.